Father’s Day will soon be here – Sunday 4th September 2011. We want to celebrate the NZ babywearing Dads out there. 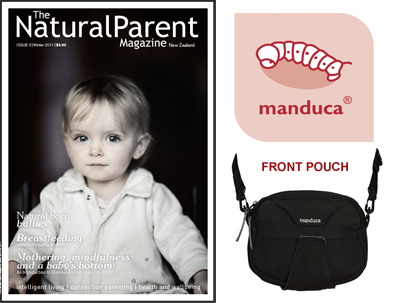 For a chance to win a copy of the latest The Natural Parent Magazine, and a manduca front pouch, share a babywearing photo of the babywearing Dad in your family on our facebook page and send in your contact details by email. A winner will be drawn randomly on Father’s Day. So post your images on the New Zealand Babywearing Week Facebook page, then email your name, delivery address and phone number to helen @ mynaturalbaby dot co dot nz Your entry will need to be received by 9pm on Saturday 3rd September 2011. This entry was posted in Giveaways and tagged baby carriers, baby slings, babywearing, Manduca, Manduca front pouch, New Zealand Babywearing Week, NZ Babywearing Week, The Natural Parent Magazine. Bookmark the permalink.